Megalithic tombs in Orkney have yielded some of the largest volumes of human remains in Neolithic Britain. However, discrete skeletons are lacking; the researcher is often presented with formidable volumes of disarticulated and comingled remains. Themes of transformation, fragmentation and manipulation of the body permeate the literature, conferring on the megalithic structures significance as places of transition. Previously, the inherent complexity of the remains has made them an unattractive proposition for detailed study. However, advances in taphonomic analysis mean that techniques now exist for approaching such complex assemblages. 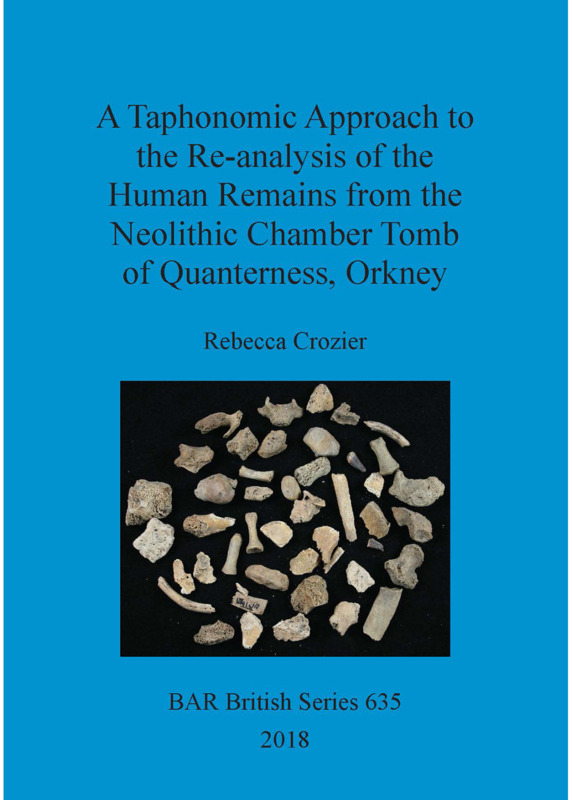 A study has now been successfully carried out on the Orcadian remains, uncovering the wealth of new data presented in this volume. This data draws attention to subtle variations in funerary ritual between and within the tombs, and pushes for a dramatic reconsideration of our current understanding of the practices and cosmologies associated with these enigmatic structures. Rebecca Crozier is a lecturer in the Department of Archaeology, specialising in human osteoarchaeology, at the University of Aberdeen. Geographically diverse, with projects in the UK and the Philippines, her research is focused on the reconstruction and understanding of past mortuary practices through the analysis of human remains.